Blog updated on March 16, 2019 Leave a Comment Any post on this site may contain affiliate links. If you use them they cost you no extra. We make a small commission. Making a decision to compete in an Ironman event is a huge investment in both time and money. Factor in the reality that the chance of a race on your doorstep isn’t possible and that travel can either make or break your experience. No one wants to pick the wrong race and waste that significant investment. Which Ironman to choose is often overlooked because there are Ironman events all over the world, but it’s one of the most important questions you should be asking yourself before signing up. You can break down the process into 3 main parts. What’s the goal of the race? 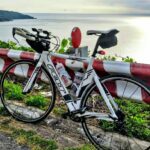 Is it to qualify for Kona or is it your first Ironman race? How much money are you willing to invest in the race. Ironman events aren’t cheap. Do you travel well? Do you perform best in hot or cold climates? These are a key factors to consider. These questions are all related to each other in small ways but by answering each separately, you will have a clearer picture of where you should race your next Ironman triathlon. Not all Ironman events are created equal. The distance is standard but terrain varies immensely. Wales, UK and Cairns, Australia are both iconic races but couldn’t be more different in terms of racing. Wales has 2,500 m of climbing on the bike leg and another 500 m climb on the run. No pro has ever gone under 9 hours in Wales. Cairns has less than half of the hills and is a very fast course in the tropics. Race times in Cairns are nearly a full hour faster than those in Wales. 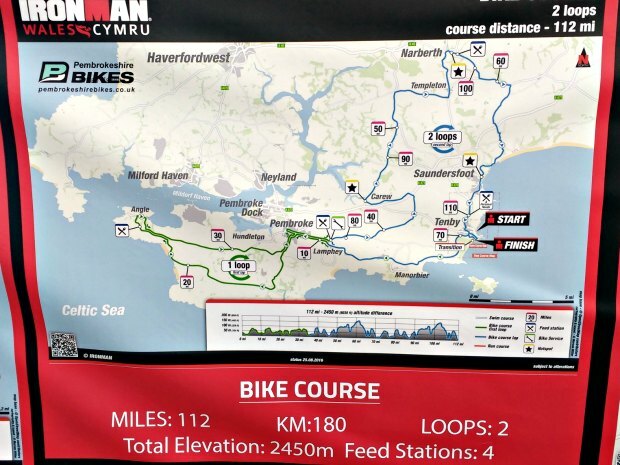 Ironman Wales bike course. Note the extra hills and elevation. Don’t underestimate how terrain will affect your finish time. Play to your strengths. If you love and train with plenty of hills, pick a hilly course. If you spend your hours in the aero position and love fast, flat courses, pick one that mimics your love of speed and aero. A chance to qualify for Kona means getting everything lined up exactly. The training should be an identical match to the race conditions. Training to the race conditions allows you to get your race day set up perfectly. The correct gear ratios and set up is crucial for success and few races require the same ratios. Wales and the hills require a much smaller chain ring on the bike compared to Cairns. The rear cassette is also going to be larger to deal with the hills. Your first Ironman doesn’t have to be such an identical match. It’s about finishing and enjoying the experience so don’t worry if there are more or less hills in the race. Wales has so many hills that unless you live there or in another mountainous area you won’t get the opportunity to train on hills of the same scale. I completed half of my training in the hills of Romania and the remainder in London, which has almost zero in the way of hills. If it’s a mid-season race, then I’d suggest getting out of your comfort zone and doing a race that isn’t your strength. Variety is key in training here, and you’ll enjoy it and have a much bigger sense of accomplishment if you go off piste. It will also challenge any weaknesses you have and help you develop as a better athlete. If things go wrong then you haven’t blown that A race you’ve trained so hard for. 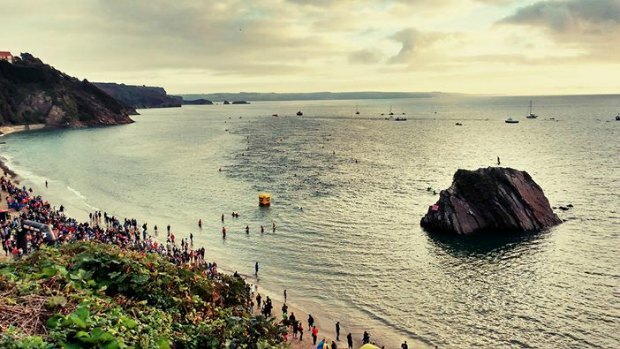 The Ironman Wales swim in Tenby’s North Beach. A cold swim with plenty of current. Few get to Kona, but many try. If you are looking for a race to qualify for the Big Island then that race has to reflect all of your strengths and as few of your weaknesses as possible. What sort of bike course is your strongest? Pick the one that suits. How early in the season will you peak? Southern hemisphere athletes tend to peak earlier due to a summer of training. How is the competition for your age group? Is this a sell-out event where the competition is fierce? Looking for a race late in the season can mean other serious athletes have already picked and raced their A race for the season. Think outside the box. You’re already an experienced racer so look across the whole season and all races to find the perfect one for you. Whichever race you compete in, the minimum time frame is registration on Friday, bike rack Saturday, race Sunday and bike collection Sunday night or Monday morning. This means at least 3 nights accommodation unless you live close enough to get to the race start on Sunday morning by 5am without missing a nights sleep. Ironman racing isn’t cheap by any standards. Entry alone is upwards of £400 or $650 and that just covers the racing and a carb load dinner before. Factor in the travel, hotel and associated costs and it is easy to see that cost climb. Bike boxes aren’t cheap but essential to transport your pride and joy across the world. A cardboard box from a shop like Evans Cycles is a good alternative if minimal travel between home and the race destination is possible. You can make a holiday out of it. Plenty of competitors in Cairns Ironman fly in and do the race before spending a few weeks on holiday with their families. That’s a great way to make sure that everyone is happy. If you’re not changing time zones, this is popular because you can arrive just a few days before the event and use the following week to relax. With big time zone changes, you” need to arrive well ahead of time. Ironman swimming in the tropics. Totally different to cold water European or North American swims. Which would you choose? If this is your first race and there is a race close to home that you can enter, then perhaps this is the most affordable option. Travel on top of racing can add to the stress and expense. Remember that when you to travel, your destination may not stock all or any of your favourite race items such as gels and co2 canisters so be sure to do your research. 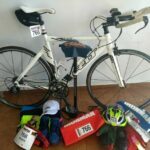 Ironman Thailand was an eye opener for me as my brand of choice, Powerbar isn’t available in that country, meaning I couldn’t get supplies for the race once I left home. Wetsuit requirements and experience swimming in one, can also be a factor in your success. Make sure you have adequate insurance. It must cover you not just for training but for competing in the actual race. You may have to add race cover to the base policy. I use World Nomads Travel Insurance which covers all race distances. They also cover Tough Mudder events. How Well do You Travel? Some find going to a new destination a joy, while others don’t like leaving their comfort zone. This will be amplified if you’re doing an Ironman race. I personally love the travel part but it does require much more planning and execution. Making sure you’re ready for an Ironman race after a long-haul flight is also something you need to consider. Give yourself time to adjust to different time zones. A week is minimum but have you got that long? Ruining all that investment in both time and money because you’ve arrived at race morning flat after flying half-way around the world isn’t the objective of travel. Think about finding suitable accommodation where you can cook your own meals and a place to store your bike. Hotel rooms are OK short-term but if it’s longer adjustment period, then you’re going to need an apartment style hotel. The week before the race needs to be as normal as possible, allowing you to really benefit from the taper and be race-ready on Sunday. If you travel it opens up a world of possibilities ranging from the popular iconic races to the far-flung races that few get to do. 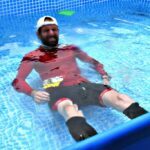 I love that I can do Ironman across the world in different countries and experience the same race in so many global interpretations. 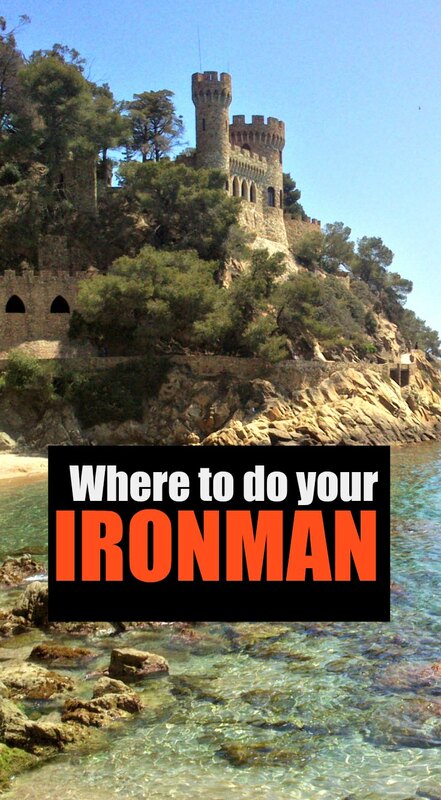 Where will you race your next Ironman? Which Ironman to Choose Depends on Your Circumstances. There are numerous factors in deciding which Ironman to choose. By looking at all of the different factors you can work out what is going to work best for you. Picking the right race will make it that much more special, successful and enjoyable. With so many races across the world there is truly something for everyone. In fact, some of the European races have now joined together to make a series which adds a whole new dimension. Whichever race you choose, make sure you do a race. Don’t put it off or leave it ’till next week. Races that are popular sell out quickly so be ready to sign up as soon as registration opens. How to Transport a Bike. A Cyclist’s Problem!